Have you ever walked through fields of gold? I’ve only ever seen them once. As I was driving up the road along to Daylesford and the land around me was literally covered in golden yellow fields of canola flowers. It was spectacular. Bright, bold and proudly tall against the winds. I have. I was 7 and I was playing by the curbside after school, waiting for Madam Mummy to pick me up. It was during one of these playful moments as I was attempting to climb a tree at the school compound, that I chance upon a flower that the bee was at. Unconcerned, I swapped it and it in turn, stung me. Who was to know, that 3 years later (1993), a man going by the name of Sting would come up with a song about Fields of Gold and that 18 years in the future, Andrew McConnell, accomplished chef, would name his new restaurant Golden Fields? A coincidence? I think not! Andrew McConnell has been a very busy man in recent years. With Cutler & Co and Cumulus Inc quickly becoming one of the busiest and most popular “must dine” restaurants in Melbourne, it was no surprise that he was also featured in the finale celebrity chef challenge in the Celebrity Masterchef season. So when we heard that he had a new venture in St Kilda, dedicated to his love of Asian food, we knew we had to be there or be square. So one night last week, I pulled my dear BFF, her Bubbly Hubbly and the Boy for a delicious dinner at Golden Fields. As we walked in, I couldn’t help but appreciate the decor. I quite liked the whole bird/chicken feet theme the place had. 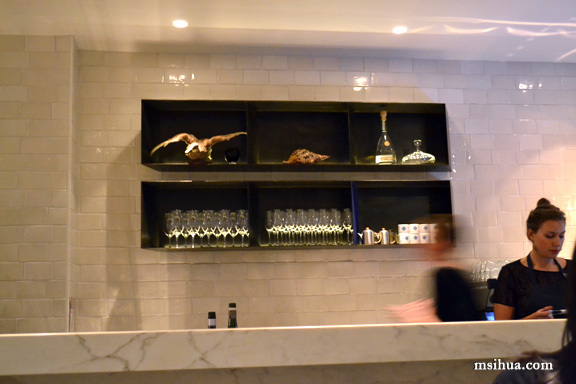 Marble bench bar tops and clean white brick walls were also a stand-out for me. As we sat down, the Boy pointed out that the man of the house was actually in the building. So I had to take sneaky shots of him (didn’t I) ? Let’s play spot the celebrity famous chef! Can you see him? 10 points to the first! And if you can tell me what colour his pants were, you get an extra 20 points!! 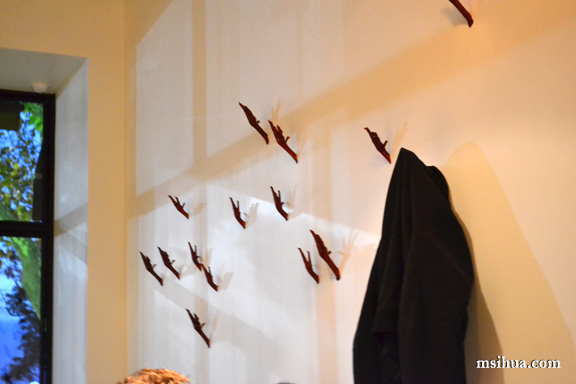 The chicken feet theme was pretty obvious as the coat hooks on the walls were bronzed chicken feet. What I thought was cute about Golden Fields, was that it shunned traditional concepts. The menu was pretty much traditional Asian dishes, with a little of Chef McConnell’s twist. 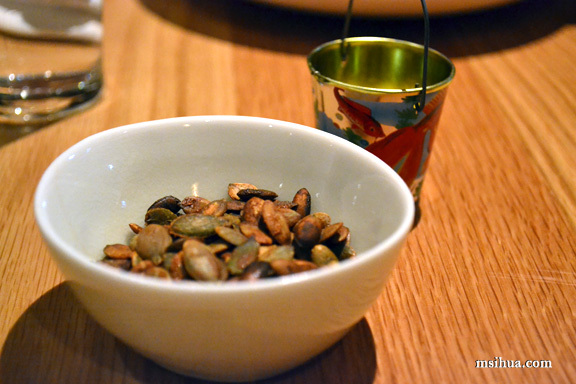 For example, instead of peanuts as is predominantly served in Chinese restaurants, we were served a delicious bowl of toasted Pumpkin seeds. As we prepared to put in our orders, we were informed that everything on the menu was meant to be shared. We didn’t have any issues with that, as we were hankering to try an abundant assortment of dishes! 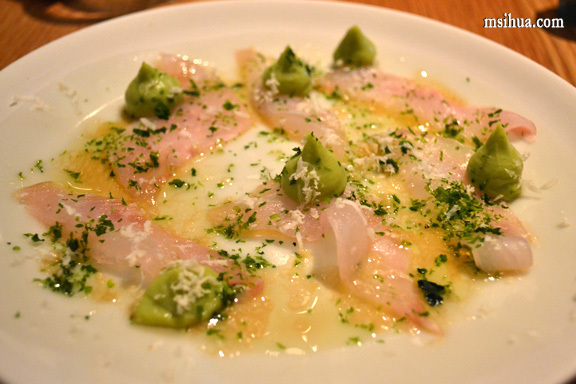 For starters, we ordered the Duckfish, Avocado, Fresh Horseradish & Dried Sea Lettuce ($12.00). I had never heard of duckfish until that night. The texture I found, was a tougher version of Hiramasa Kingfish. The taste of the actual dish, was very pleasant and light. The star dish of the night, was an unlikely Lobster Roll. This is a dish that probably had the least affinity to Asian food (apart from the Kewpie Mayo and sweet bun) but was somehow the crowd favourite. I know Ed, also proclaimed this as the best lobster roll in town. 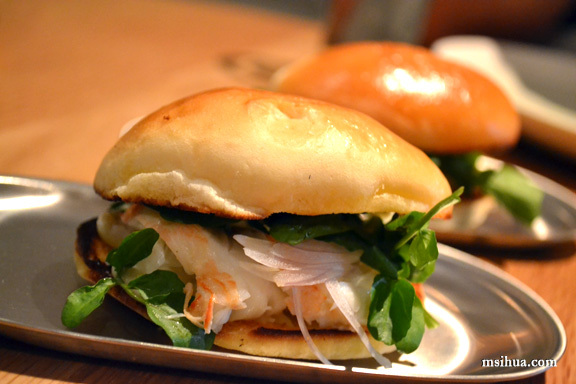 So make sure, if you do come here, order the New England Lobster Roll, Hot Buttered Bun, Cold Poached Crayfish, Watercress & Kewpie Mayo ($15.00) if nothing else. It will be the best lobster roll you would have eaten. The hot buttered bun was so soft and pliant. It was just a dish made in heaven. My only gripe? It was too small! I wanted a bigger chunk of that lobster roll!! 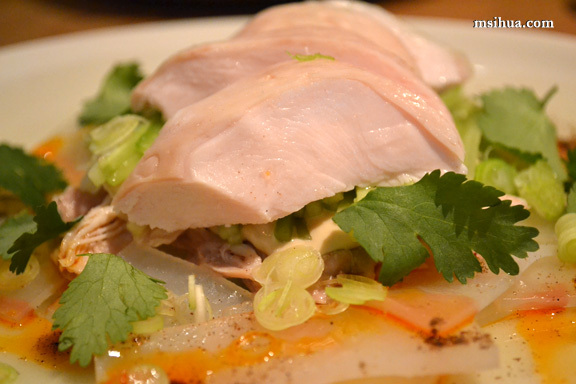 The next best dish for us was the Shredded Chicken, Sesame Paste, House Made Cold Rice Noodles, Chilli Oil ($15.00). The chicken was extremely tender and soft. Moist and not dry, so we suspect it wasn’t poached the old fashion way. This dish is also not too spicy and the Boy (who can’t stand chilli heat) proclaimed this as delicious! Then we had the mains. 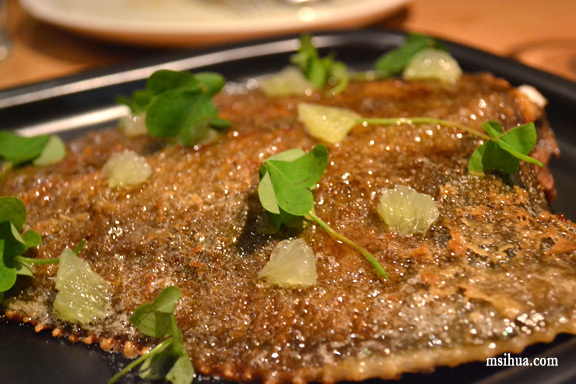 We ordered the Whole Roasted Flounder, Lime, Sorrel, Burnt Butter ($32.00). The flounder wasn’t too much of a standout and it really wasn’t that spectacular. The fish used was fresh and would really have tasted nice with any seasoning. But IMHO, this isn’t a difficult dish to attempt at home. 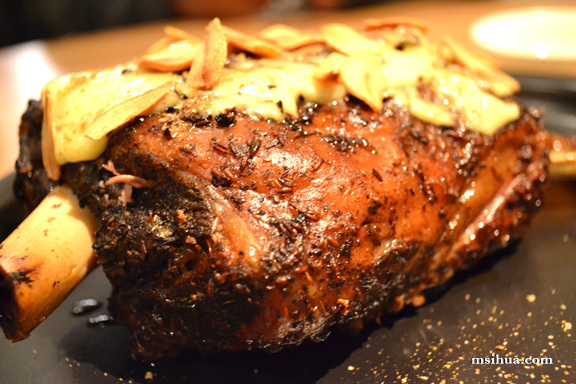 We also had the Asian version of the famous Cutler and Co Slow Roast Lamb Shoulder, Cumin Seed, Salted Lemon ($68.00). I did feel that this was delicious. The meat was wonderfully tender and pretty much fall of the bone. The garlic chips that came along with it was also delightfully addictive. And of course, being an Andrew McConnell establishment, we had to put in an order for desserts as well. Between the four of us we ordered the Chocolate & Ginger Tablette ($16.00) and the Peanut Butter Parfait, Salted Caramel and Soft Chocolate ($10.00). 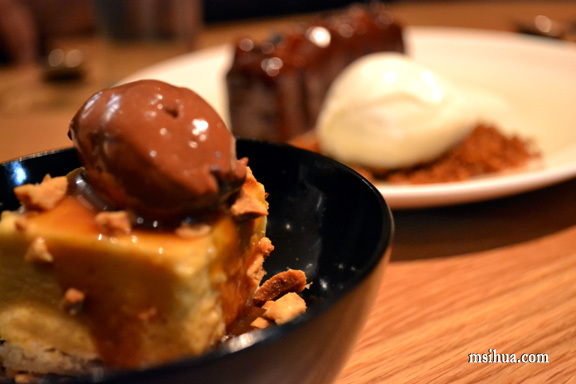 The peanut butter parfait though extremely delicious, came in an extremely tiny bowl. 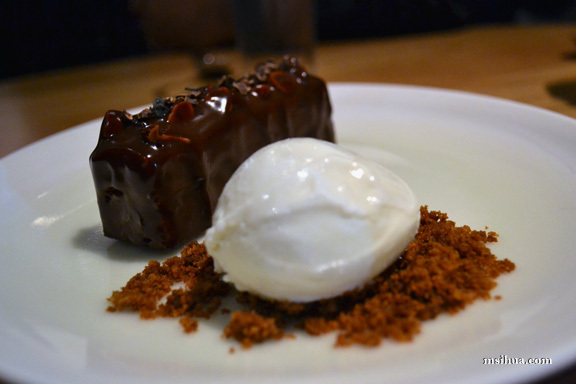 The chocolate tablette was beautiful, dark, with chunky bits of nuts. So what did I think of this foray and dance with Asian and modern Australian? I quite enjoyed myself at this cool new funky joint. It’s still just as noisy as his other two establishments, but there’s no harm in that. Would I be making a return? Sure, why not? looks good as an asian fusion restaurant, never was a big fan of cuisines trying to interact together on the same dish but certainly looks like a place i wouldnt mind visiting! Ooh yes and you get 10 points for spotting him! Haha, I like the little add in about the sting and golden field connection – nice :D.
Must go and give this a shot… after Cumulus and Co. though :P.
P.S. I’ve launched the new blog! It’s still in it’s primitive form but I hope you’ll pay us a visit :). I like the look of this joint. And yes, you have tempted me with that lamb shoulder! WOOT! WOOT! I played with tadpoles, breed siamese fish, catch mini frogs (just newly matured tadpoles) and ride on my huge dog when i was 8! Ride on your dog? I wish I had a dog big enough to do that!! Eva Cassidy is who you’re looking for! Thought you might like the peanut butter!! 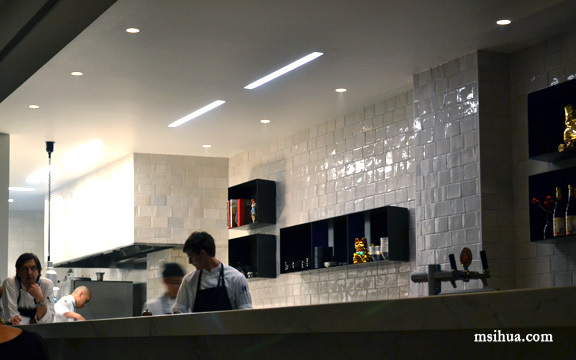 This place looks so good – I read about the lobster roll at Ed’s blog too. Do want!! The lobster roll is to die for! I think so too! Every week something new pops up! And I’ve been back for more Lobster roll. And will return as I have to try sooo much more. I also tried the grass-fed black angus beef,kimchi puree,egg yolk et which is basically a gorgeous steak tartare. 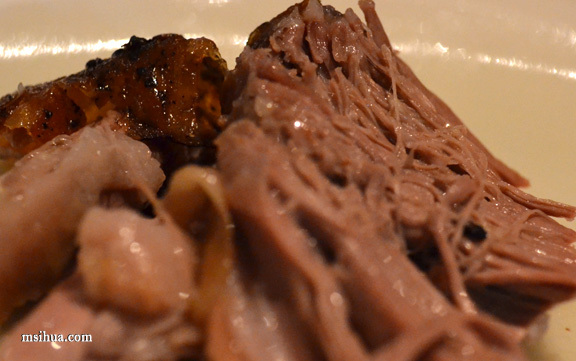 And we had the braised Blackmore brisket which comes with some rump. gorgeous. Sauteed French beans was the token vegetable matter. How do I find tim though with so many new restaurants? Yeah! I get nervous around chefs too! If you actually go to New England and order a lobster roll you’ll notice they are about 5 times bigger for half the price, and taste just as good. 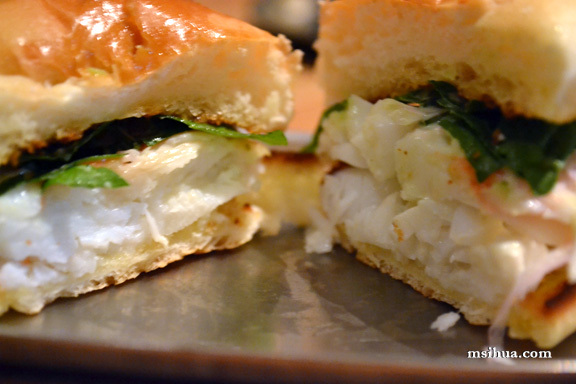 After all, the real star in a lobster roll is the *lobster*. 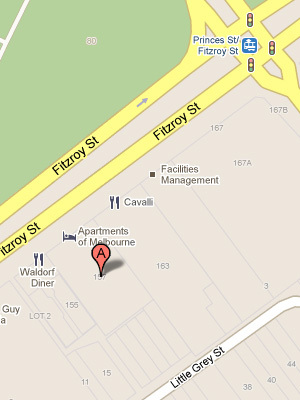 I don’t understand why everyone is raving about this – it’s like people in Melbourne don’t care about value for money. This place is like an asian tapas bar (with small tapas).